Sweetgreen was founded in DC by three recent Georgetown graduates in 2007. As of October, 2017, the company had over 77 stores and 3,500 employees across the US. Known for attracting the bougie, millennial, crowd to dine on its fresh, locally sourced ingredient salads, Sweetgreen’s meteoric rise to success has been fascinating to follow. Often credited as, “the next Chipotle”, who then would have guessed that the company’s founders and investors credit the company’s use of technology and data for its stunning growth? Sweetgreen is known for doing big menu shake-ups with the season, as their salads are dependent upon fresh and locally sourced ingredients, so the salads are altered to accommodate what is locally available. 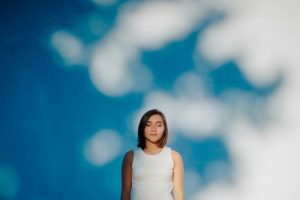 Last week, it was announced that Sweetgreen has joined the heady throng of companies utilising the blockchain to improve its recipes and the ingredients that go in its salads to, “win the fast-casual food war”. The founders of the company expressed Sweetgreen’s focus on technology and data for the last 10 years by explaining to Bloomberg, “We’ve been building for this digital revolution in food. We’re as invested in our tech team as we are in our supply chain team.” Sweetgreen is working with its farmers and growers to implement blockchain to ensure the highest quality of crops with the greatest yield. As well, the company is utilising the data from the blockchain to ensure control over its supply chain and that its promise of ‘farm-to-fork’ for its customers is realised. Sweetgreen recently launched a new app to the app store and it it the amalgamation of years of studying consumer habits and data and creating the perfect user experience for its customers. 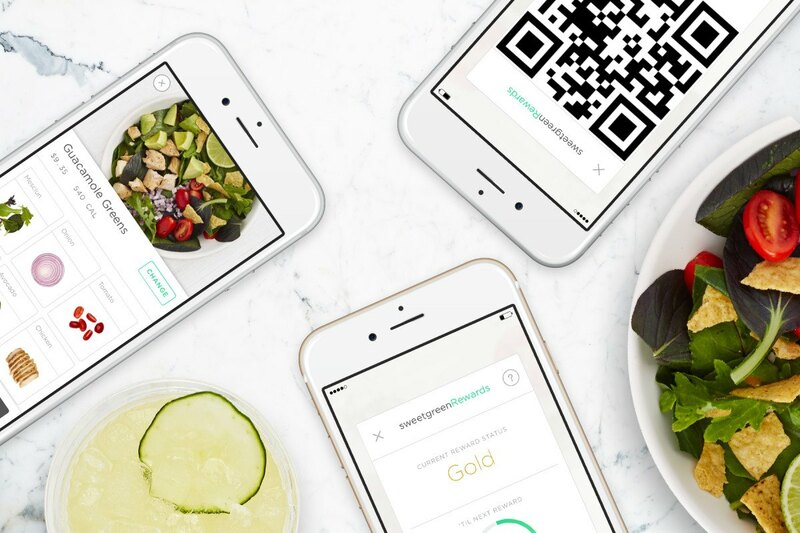 As Macala Wright explains, “The new app brings together online ordering, payment and Sweetgreen rewards, allowing salad loving, farm-to-table enthusiasts the ability to order their healthy fare easily. 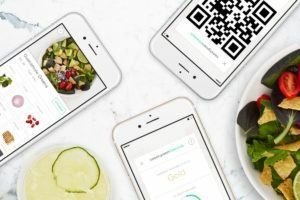 It allows the customer to visually create their salad while calculating nutritional and caloric information, all of which rolls into the iPhone Health app. Sweetgreen also lets you reorder your favorites in just five clicks, and even call an Uber to pick up your salad.” The value creation and value capture for both Sweetgreen and its customers with this new app is unmistakable. Thanks for the great post, Eliza! My fiancé LOVES Sweetgreen, so I get begrudgingly dragged in their Harvard Square location from time to time. I am usually frustrated by the incredibly long line, and your post made me think about how Sweetgreen mobile-app might be a factor. I recently read in the WSJ that some fast food and fast casual restaurants were experiencing increased congestion and other logistical problems due to higher mobile-app ordering (you can find the article here: https://www.wsj.com/articles/mobile-ordering-apps-create-problems-for-restaurants-1508119500). They had to make O20 changes to accommodate the increased traffic flow and impatient mobile-app customers. For example, some chains built a physically separate pick-up area for mobile-app orderers, so they stopped blocking the queue of traditional customers. Also, Starbucks changed its display screens to notify baristas if an order was made by mobile-app or in-person, so that they could notify the mobile-app customers when it’s ready to prevent them from milling around too much. 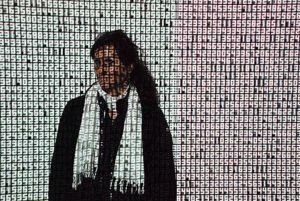 An interesting example of how the push for data-analytics can create unintended consequences! 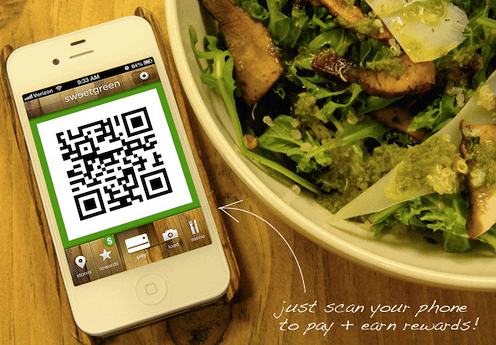 Great post – makes me want to grab sweet green for lunch today! Another thing I just learned they do (because a friend got chosen) is pick people who order off the app often and provide them with in app cash to buy salads in exchange for filling out feedback on different ingredients, new salads, etc. This way they can collect additional qualitative and quantitative data on what and why people are liking certain items. Hi Eliza, such an interesting post! I wonder how would you think this model can be applied to other industry and how will Sweetgreen adapt to a changing consumer taste, behavior, and purchasing trends. Awesome post, Eliza! I have slowly come around to the Sweetgreen way of life over the last couple years and will miss it when I leave Boston. It leaves me wondering how other fast food spots could make similar advances. Could Chipotle make an app that provides them similar benefits? What about Blaze Pizza or other made to order style restaurants? Thanks again for a great article! Thanks for the great post, Eliza! I agree with you that ordering online and collecting customer data do create lots of value to customers and the company. Another thing I think Sweetgreen can do with the data is to offer “customized promotion deals” to customers. Actually the problem of traditional loyalty programs (coupons or point-based promotion) is not effective in incentivizing new behaviors, instead it creates liability and can cannibalize normal sales. 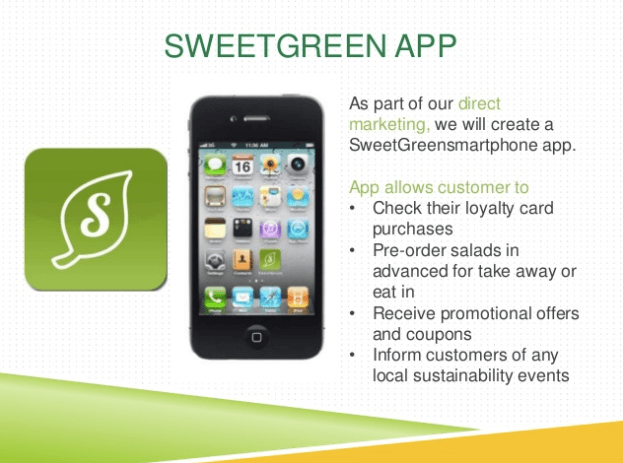 Analyzing the data can help Sweetgreen incentivize right customer with right promotion deals. For example, if I am a customer haven’t visited Sweetgreen for a few days, it can incentivize me to go by sending me a personalized promotion deal and offer a discount on some items I may be interested according to my purchase history. This is a really interesting post. As a Sweetgreen App user, I completely agree that they’ve made the ordering process seamless and enjoyable. I wonder how they can use their app as a competitive advantage as other fast casual restaurants create similar apps. Furthermore, how useful is the data for the company if they are constantly changing their menu to match seasonal ingredients? If the data recommends they offer an ingredient that is not in season, how will they balance this? Thanks! Really interesting post! I’m a Sweetgreen loyalist and often use the app to avoid the long queue at the Harvard Square location. I wonder if this is a competitive advantage that Sweetgreen can sustain long-term though. My view is no. It won’t take long for another competitor to create an app and use data captured to drive menu decisions and promote customer loyalty. I wonder what may be next for Sweetgreen to ensure it maintains its competitive edge through the use of data and technology. Thanks for the informative post! I’m curious as to the percentage of Sweetgreen customers that use the app (and therefore allow their data to be easily captured). What’s the company’s strategy for capturing data from customers who don’t have or use the app (especially as many of these them may be new or infrequent Sweetgreen customers)? 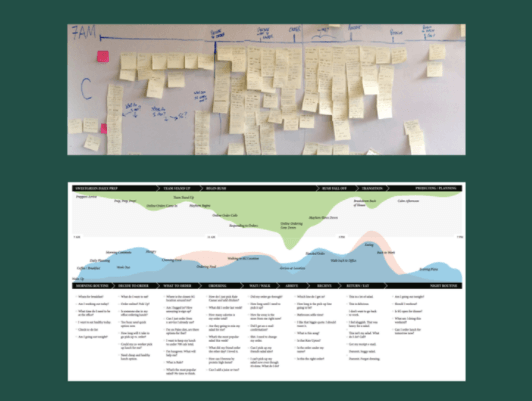 How is the company using data to build a relationship with non-app users?